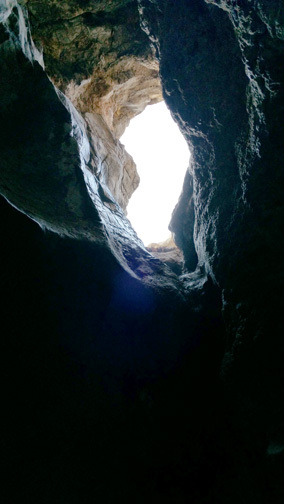 As the picture shows above, we see a opening into a cave. The Bible speaks about this as a refuge for the wicked in Revelation chapter 6. Yet once again we are blessed to now know the meaning and full ramification of this. The Lord’s final message has expounded upon it. It is deep, it is not as we have generally understood it to be. It is bountiful in glorious truth, solemn yet instructional of what lays ahead for those who have and are now–fighting God’s truth. We as Seventh-day Adventists have generally understood this to be of Christ’s second coming. Just as the general whole Christian world has. But God wrote it as Truth, not mankind’s idea of it. His prophets declared His things, not us frail and mistaken prone people. Let us now see what these things really mean. What is the earthquake, sun darkened, moon as blood, stars fall to heaven? As our Lord prophesied, all these events are recorded as phenomenal events in our history. The judgment was about to begin in the heavenly sanctuary. A review of all the records of the professing people of God starting with Adam. What is the meaning of heaven departing as a scroll and every mountain and island is moved out of their places and the men running to the dens and caves? According to the following testimony, Revelation 6:12-17, has a double application, and it is clear that these verses also refer to the time of the purification of God’s church, for the servant of the Lord says, “In these scriptures two parties are brought to view. One party permitted themselves to be deceived, and took sides with those with whom the Lord has a controversy. They misinterpreted the message sent them, and clothed themselves in robes of self-righteousness. Sin was not sinful in their eyes. They taught falsehood as truth, and by them many souls were led astray.” — “Testimonies for the Church,” Vol. 9, page 268. “..while the first four seals carry us through the periods of the day in which the works of man are made manifest, the last three seals carry us through the day of God, the day in which His Truth and His works are made manifest. We want to focus on one area. Did you notice that the above describes the wrath of the “Lamb”(verse 16) written as “arnion” meaning Lamb in Greek? Notice the different depiction of wrath and the judgment given by the Lamb. What we want to point out is that unlike the pouring out of the plagues from the wrath of “God”, written as “Theos” –God in Greek, Rev. 6:12-17 and Rev. 14:14-16 is about the church judgment, the wrath of the “Lamb”. Yes, there may be a secondary application as the message says above but the primary application is the church purification. It truly is a marvelous thing to understand the Word as God wrote it for us. As we put the whole picture together we know as present truth believers that there is to be TWO harvests producing TWO fruits. The 144,ooo from the SDA church in the first harvest, and the Great Multitude from the world in the second harvest. Two close of probations and subsequent wrath of the Lamb and of God. Let us remember that when the Bible speaks of Jesus as the “Lamb” it is referring to a time of open probation. For it as a Lamb that the Lord sacrificed Himself for us, and that sacrifice is only available to us as Jesus is still able to grant it–as a Lamb. If we look closely at Malachi, we see – a) the Lord sending a prophet to prepare the people for His coming b) The Lord suddenly coming to His church c) The church being purified (refiners fire, fullers soap, refiner of silver d) that the church may finally glorify God in righteousness. In closing brethren, the Lord loves His church exceedingly. Going so far as to give us a detailed account of the events to take place, warnings that are to help us awake, be ready, and to show others. We should be prudent and prepared now as this is our opportunity. The Word says we must be able to “stand” and only those who know His Word will be prepared. This entry was posted on September 2, 2017 at 5:12 am and is filed under End times, Final Events, Righteous Anger. You can follow any responses to this entry through the RSS 2.0 feed. You can leave a response, or trackback from your own site.